Having a purpose means being driven by something larger than yourself. 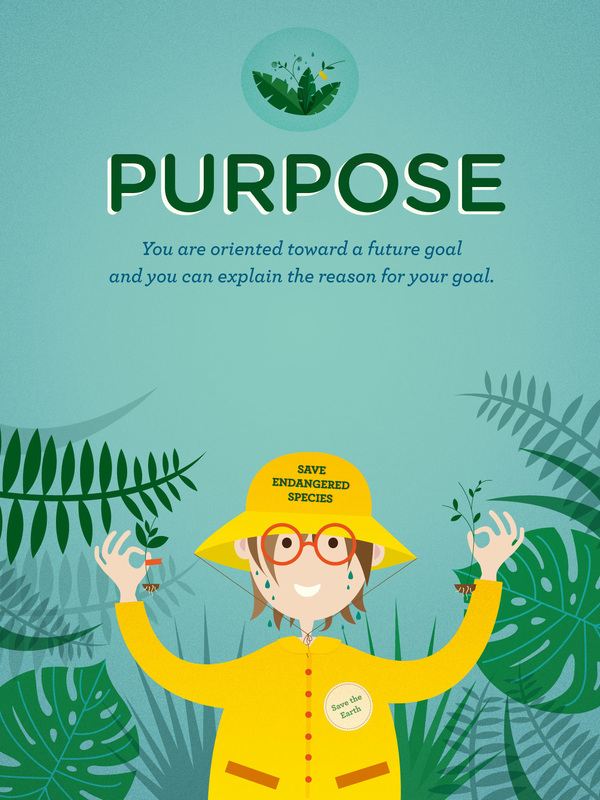 Having a purpose is different from being tracked into a specific vocation or outcome— it's being oriented toward a vision of the future. Perhaps it’s a big goal you have for your future, a motivation to help the world around you, or both. The goal or purpose itself can be general, and it can be relatively temporary. When kids are motivated by a larger purpose, studies show that they have more academic motivation, life satisfaction, identity formation, and vocational success.